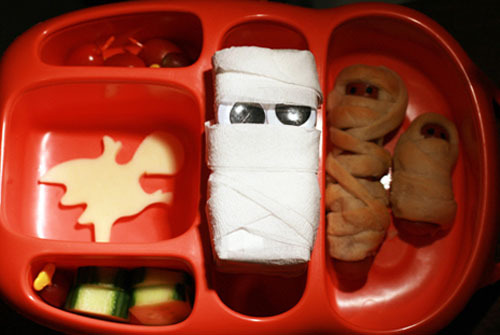 Ghosts and mummies are on the menu today! I'm pretty smitten with this mummy juice box wrapped in white party streamers. I got the idea here. 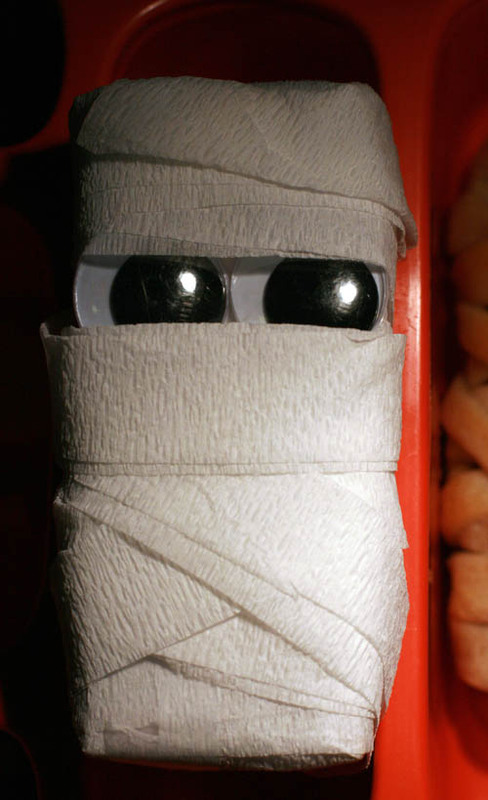 He is looking a little shifty, isn't he? 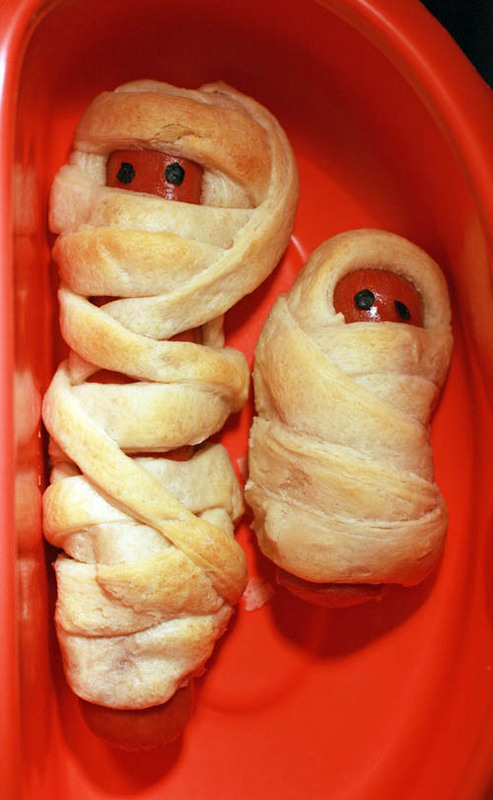 These mummies are wieners wrapped in store-bought biscuit dough. They were a hit last year and they are so easy to make ... just 12 minutes in the oven.